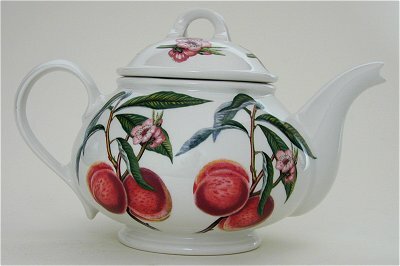 In 1960, Susan Williams-Ellis and her husband, Euan Cooper-Willis purchased a small pottery decorating company in Stoke-on-Trent called A.E.Gray Ltd. Susan had worked with A.E.Gray’s for a number of years, sending her designs there to be produced exclusively for the gift shop at the Portmeirion Village in North Wales, which had been created by her father, Sir Clough Williams-Ellis in 1925. This was their first experience of the pottery industry. Previously Susan had Fine Art training from Chelsea Polytechnic, where her tutors included Henry Moore and Graham Sutherland. The beauty of the Portmeirion Pottery collection of tableware, giftware and cookware, stems from Susan Williams-Ellis’ ability to design and model shapes that are both functional and aesthetically pleasing, Susan has always expected her pottery designs, both shapes and pattern, to fit comfortably with everyday life. Since the 1960’s Susan has created all the shapes by turning the originals by hand from which the moulds were produced. The design department continues to create new products, shapes and innovative ranges under the watchful eye of Susan, with the modelling department maintaining the highest standard of design. 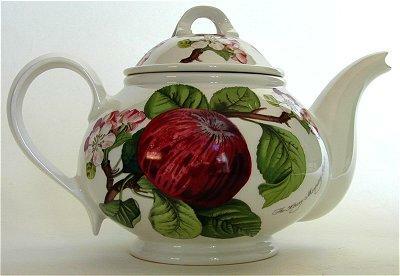 Please scroll down for teapots. 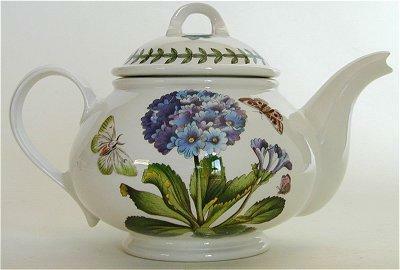 Beautiful tea set with various floral patterns imported from England. 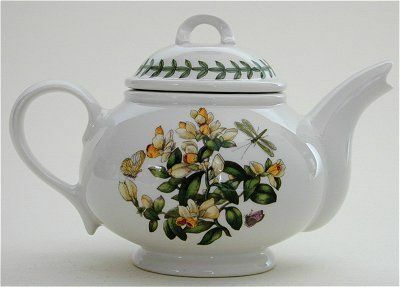 Portmeirion Pottery Holly and Ivy Teaset for 4.